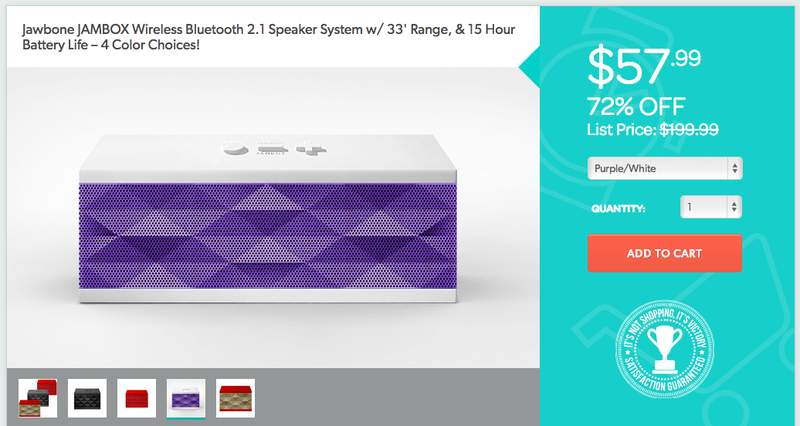 Usually priced at around $150 on Amazon and other e-retailers, the Jawbone Jambox is today’s deal of the day. Priced at just $57.99 on 1sale.com, this is a pretty good deal, even if it’s factory refurbished. Both Kellen and myself rock Jambox speakers in the house, as they are quite the little package from Jawbone. Even with its small stature, they do get quite loud. With Bluetooth connectivity, pretty much any device you have can run through them, but they also feature an input jack if Bluetooth isn’t your thing. 1sale.com has them in four different colors, so if you are interested, you should be able to find one that suites your taste. To take advantage of the deal, follow the via link below.